I’m standing in my kitchen surrounded by the intoxicating aroma of baking granola. The sweet, spicy smells and the anticipation of the perfect crunchy satisfaction are almost driving my bonkers, and my stomach is growling insistently. 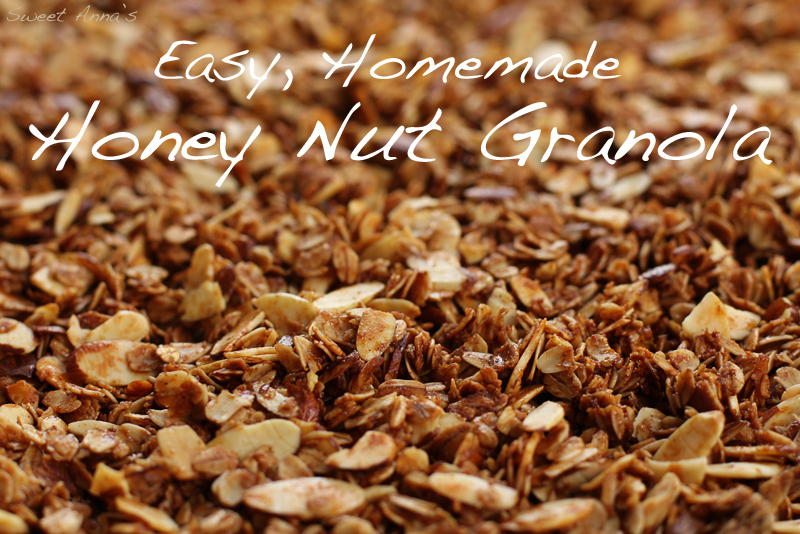 There is almost nothing better than baking a batch of fresh, homemade granola. It is so incredibly simple to throw together, and the scent of granola in the oven is just plain heaven. 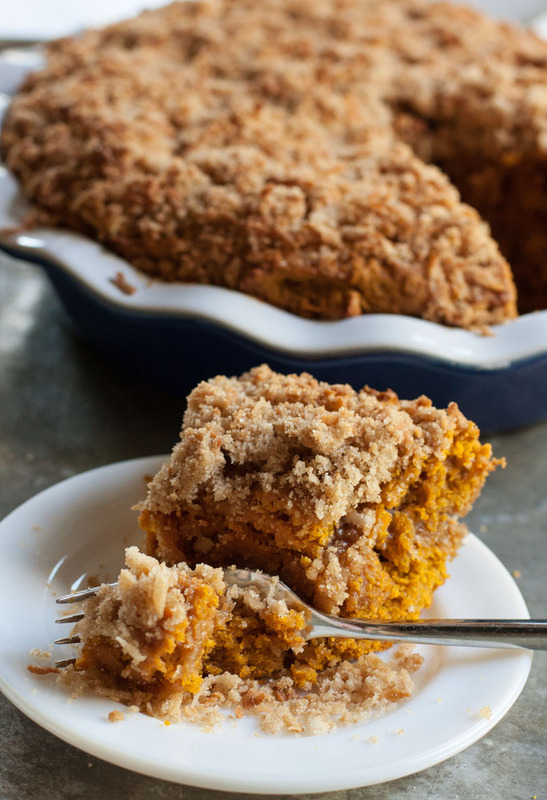 The sweet, nutty, cozy aroma just screams fall! With less than 5 minutes of prep, and into the oven, sometimes I think I could make granola every day. We snack on it by the handful and enjoy it on our morning bowls of yogurt. Of course, I rarely seem to be able to make the same recipe twice (there are just too many fun variations of granola to enjoy!) 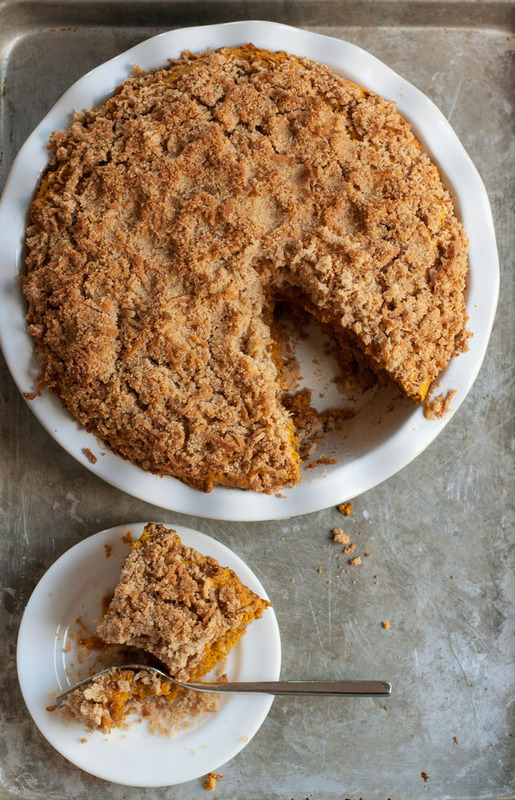 but this spiced, nutty version is definitely one of my favorites. And really, what’s better than a quick bowl of homemade granola and yogurt on a busy fall morning?! In a large bowl, stir together the oats, brown sugar, spices and salt. In a small bowl, melt together the coconut oil and the honey in the microwave, stirring every 30 seconds until just melted (you can also do this in a small pan on the stove). Stir the honey mixture into the oat mixture until well coated. Spread evenly onto a large, rimmed baking sheet. Bake for 15 minutes, remove from the oven and stir in the nuts, and then bake another 15-20 minutes, until the granola is golden. 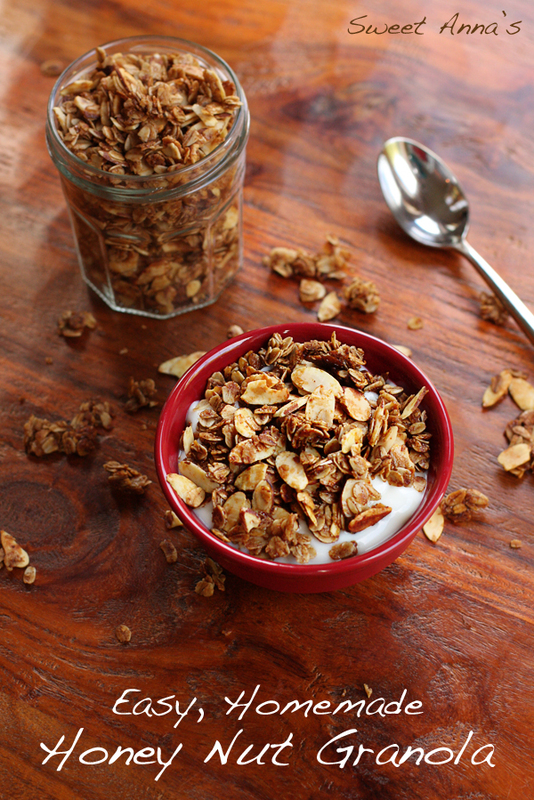 What’s your favorite way to eat granola? On yogurt? With milk? Just plain?? Pumpkin already?! Well, it’s raining and cool here today. My kids start school in a week and a bit, and yours are probably close to it if not there already. It doesn’t get much more fall-ish than this! So, to celebrate the beginning of fall (my favoritest season!) and the excitement of back-to-school (yay! ), and the return of my all-time-favorite-cinnamon-baking-chips… here is an easy, delicious, fall-filled treat that will make your house smell amazing and your tummies happy. 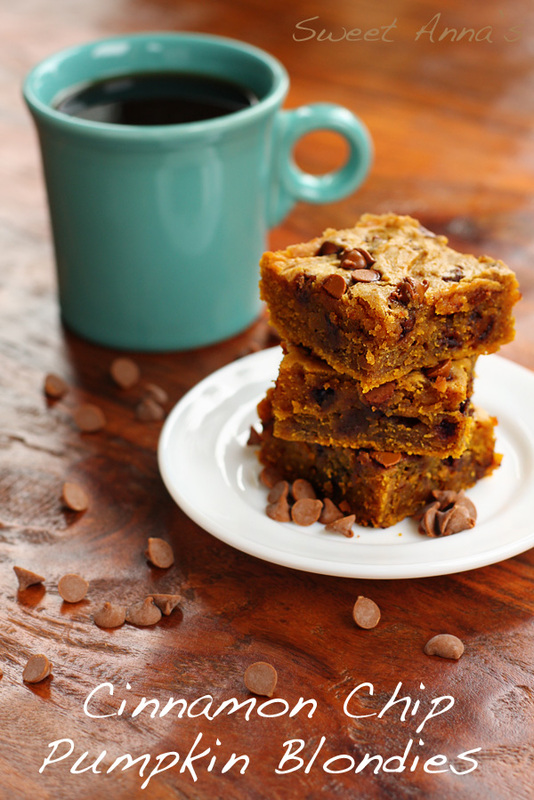 If you’re looking for something different than your usual pumpkin bars/breads and you’re as ready for fall as I am, make these pumpkin blondies soon! They are sweet, dense, flavorful, everything you love in a great brownie, but loaded with pumpkin and spices instead. Delicious! Preheat the oven to 350ºF and lightly grease a 9x13" glass baking dish. In a medium bowl, whisk together the flour, spices and salt. In a large bowl, whisk together the melted & cooled butter and the sugars until very smooth (and not warm at all). Whisk in the egg, vanilla & pumpkin until smooth. Gently whisk in the flour mixture and then fold in the 1 1/3 cup cinnamon chips. Spread the batter into the greased 9x13" baking dish and sprinkle the remaining 1/3 cup cinnamon chips over the top of the batter. Bake for 35-40 minutes, until a toothpick inserted in the center comes out almost clean. Let cool completely before cutting and store in an airtight container in the freezer for up to 3 weeks if you'd like!